Ahead of the 2019 General Elections and some state governorship polls in 2018, INEC is preparing to resume Continuous Voter Registration (CVR) to the 120,000 Polling Units. 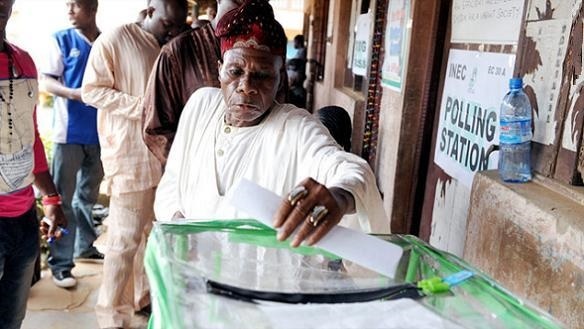 Nigerians would soon return to the polls to either renew the mandate of political officer holders or elect new leaders. The states are higher this time around especially with improved voter awareness and seek for good and accountable governance. The Independent National Electoral Commission is preparing ahead of time to avoid the challenges that have marred past polls. So, if you are searching for a part-time job perhaps you should visit the nearest electoral unit in your community and speak to the INEC officials. Chairman of the commission, Prof. Mahmood Yakubu says 629,858 personnel are needed to be deployed at the polling units for the daily registration while 239,946 security operatives will be engaged. “The total provision for CVR in the 2017 Budget, including all the rerun and tenure elections, bye-elections and general elections, is N1.2 billion. “So, all the money available in the budget is barely enough to pay for the cost of personnel for one day, assuming we deployed at PUs level, and that does not include security,” Yakubu said. The one-off-cost to include new Direct Data Capture (DDC) Machines that would be procured. “Remember the life span of DDC machine as we have been told is four years. “The last time the commission acquired DDC machine we are currently using was in 2010 and 2011; that was six years to seven years ago. “That is why we have the challenge; they are epileptic and slow. “Each complete unit will cost one million? naira; that is the machine, the printer, the fingerprint scanner, the webcam and the accessories. Was this sum included in the 2017 budget? Yes or No.